Drexel researchers have successfully triggered a process in which cells engulf their own insides in mice subjects, which could be used to prevent chronic lung disease in premature infants. 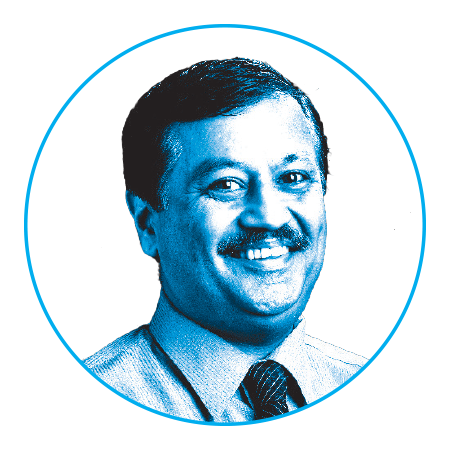 Bhandari is a faculty member in the College of Medicine and chief of neonatal medicine at St. Christopher’s Hospital for Children. For infants born with bronchopulmonary dysplasia, a chronic lung disease that affects up to 15,000 premature babies each year in the United States, what heals can also hurt. The supplemental oxygen physicians administer to compensate for the babies’ developing lungs can increase pulmonary damage, causing lifelong complications. Researchers from Drexel and Yale University have found that by inducing autophagy — a process that allows cells to survive environmental stress by disassembling and repurposing less essential components — they are able to decrease lung injury in mice exposed to high concentrations of oxygen. The study, published in the American Journal of Respiratory Cell and Molecular Biology, offers a potential new solution for preventing conditions like bronchopulmonary dysplasia. 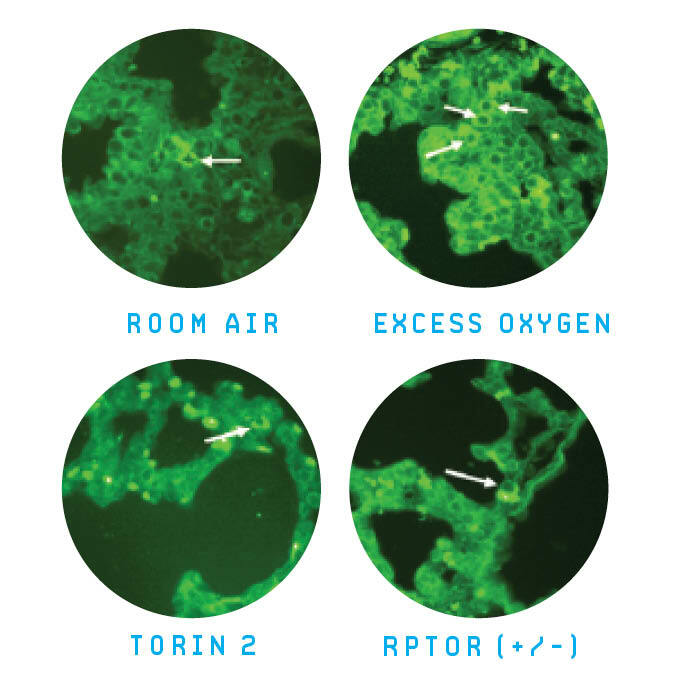 When mouse lungs are exposed to high concentrations of supplemental oxygen, there is increased cell death, as noted by increased bright green staining of the protein in the upper right photo. When autophagy is increased by using a drug (Torin2) or by genetic methods, cell death decreases. To test if increasing cell self-destruction in the lungs could actually decrease cell death — and ultimately prevent lung injury — Bhandari and his team targeted a regular protein called RPTOR, which, when inhibited, is responsible for triggering autophagy. Using genetic manipulation and drug treatment, the researchers increased autophagy in newborn mice exposed to high levels of supplemental oxygen. The increase in autophagy protected the cells from dying and increased survival in the mouse models of bronchopulmonary dysplasia. The researchers also tested human lung tissue of premature infants with the disease and found similar levels of increased autophagy, suggesting it is a natural process that could be modulated to improve health outcomes, Bhandari says. The next steps will be to replicate the results and eventually test the method in clinical trials with human patients.